Get date night ready with bae in this must-have midi dress. 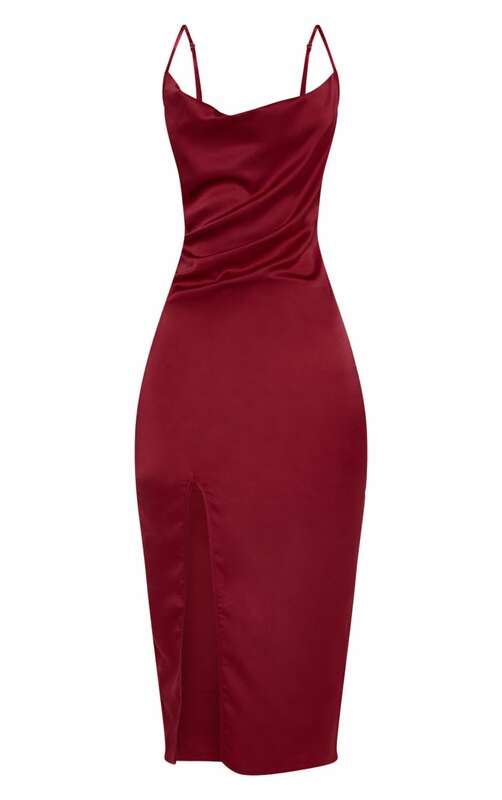 Featuring a burgundy satin material, on-trend cowl neckline and a classy midi length. Style with barely-there heels and a bold lip for a classy Saturday night look we're obsessing over.